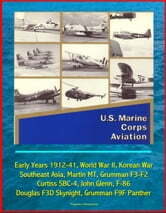 In any historical appreciation of Marine Corps Aviation, there are two factors which make Marine Aviation unique. The first is the close relationship between Marine and Naval Aviation, and the second is the unchanging objective of Marine Aviation to provide direct support to Marine ground forces in combat. One of the reasons for the partnership between Marine and Naval Aviation is the commonality which they have shared since their very beginnings. Both are under the umbrella of the Department of the Navy and there is an interlocked approach to planning, budgeting, procurement and operations, at all levels from Washington to the major fleet, field and base commands. All aviators of the naval establishment, whether Marine or Navy, are trained in the same training commands, in the same equipment, and by the same instructors and technicians, under the same syllabi. This adds up to the closest bond between two major air forces. The second factor — the basic objective of Marine Aviation: to support Marine Corps operations on the ground — speaks for itself. While there have been a few variations in some aspects of Marine Aviation planning, there has never been a departure from this objective. 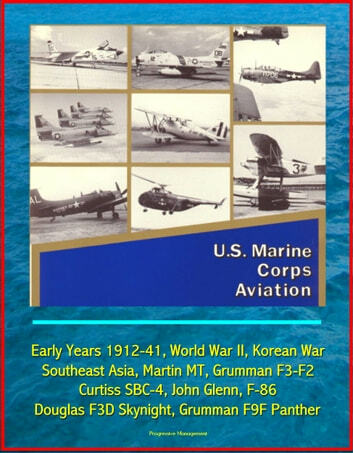 Marine Aviation was officially born on May 22, 1912, when First Lieutenant Alfred A. Cunningham, USMC, reported to the camp "for duty in connection with aviation." This was several months after the Naval Aviation Camp was established at Annapolis in 1911, manned by Lieutenants T. G. Ellyson, John Rodgers and J. H. Towers, plus mechanics and three aircraft. There was much talk at the time of an emerging mission for the Marine Corps of the "occupation and defense of advance bases for the fleet." The Advance Base School had been commissioned at the Philadelphia Navy Yard and Cunningham was among the first Marines to be assigned. In the spring of 1912, Lt. Cunningham was ordered to Annapolis for flight instruction. A second Marine was soon assigned to the school, First Lieutenant Bernard L. Smith, followed by Second Lieutenant William M. Mcllvain in December, and First Lieutenant Francis T. Evans in June 1915. On March 31, 1916, First Lieutenant Roy S. Geiger reported to Lieutenant Commander Henry C. Mustin at Pensacola. Each of these five Marines, all eager to "learn the new," had his own concept of how this new arm could enhance the effectiveness of Marine Corps operations. They were the prewar nucleus of Marine Aviation.